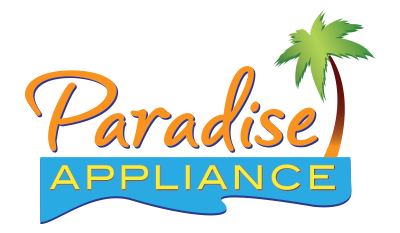 Here at Paradise Appliance Service our vision is to service our customers the way we expect to be served; and we're pretty demanding. Watch our video to learn more about our company and our culture. Our technicians’ Job Description is simple: satisfy Customers. To assure their success, they spend over 100 hours annually in technical continuing education and Customer service training. We are a drug-free workplace, and before joining our team, they must pass background checks, driver screening, and a rigorous personal interview with the owner of the company, himself a former technician and 30-year veteran of the appliance service industry. Our Support Staff: Trained and Empowered to "Do What It Takes"
You’ll notice the difference from the moment you first contact us. Our service reps are knowledgeable, solution-oriented, and friendly. All speak English and Spanish fluently, and will work with you to coordinate a convenient service appointment. They work hand-in-hand with your technician, each with the authority – and responsibility – to, “do what it takes,” to make your service experience a pleasant one. Contact you on the prior of your appointment to confirm. Verify a clear understanding of your issue. Diagnose and repair your appliance, restoring it to manufacturer specifications. Expedite the delivery of special-order parts, if required. Document the service performed and any applicable charges. Demonstrate the working appliance and clean up after himself. Your technician is ultimately accountable for your complete satisfaction. Over the years, appliances have changed dramatically. We equip ourselves with the modern tools we need to keep pace with that change. Laptop computers with internet access afford our techs immediate access to authorized servicer websites, updated in real-time by manufacturers. Cell phones provide direct contact with manufacturer product specialists and the up-to-the-minute knowledge base they maintain, as well as a direct link to you! GPS systems help lead our techs right to your doorstep. ServiceDesk, our IT platform, integrates the entire process from call-taking and scheduling, through dispatch and job management, to Customer and service histories.